Now let's add this column to the current file list. 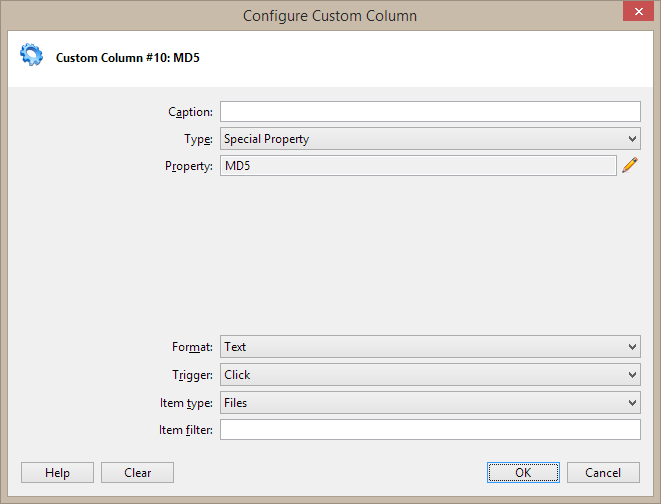 First hold CTRL and right-click any of the existing column headers to pop a small menu. From the popup menu click "New Column". 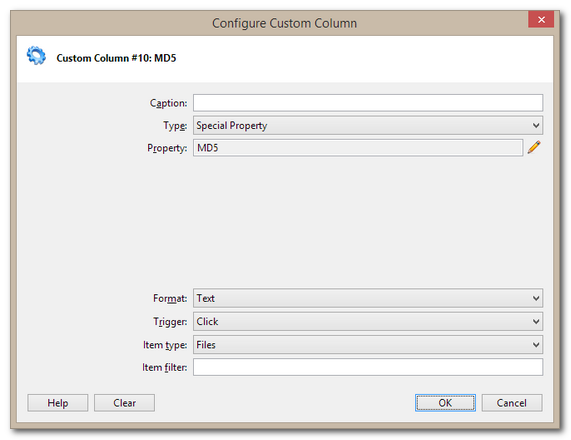 Now right-click the new column header and click "Select Custom Column...". From the list select "MD5, Special Property (*.*)". 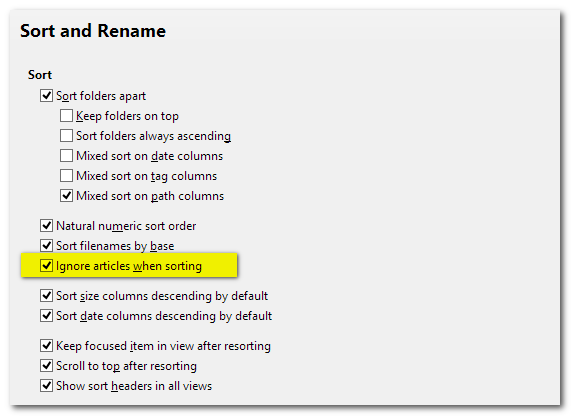 Tip: To trigger all cells at once right-click the column header and click "Refresh Column". The advantage of setting the Trigger to "Click" (instead of "Browse" which would trigger all cells in the list right away, or "List" would trigger all visible cells right away) is obvious: the column is lightning-fast since the heavy work is only done when you explicitly demand it. Advanced Content Search. 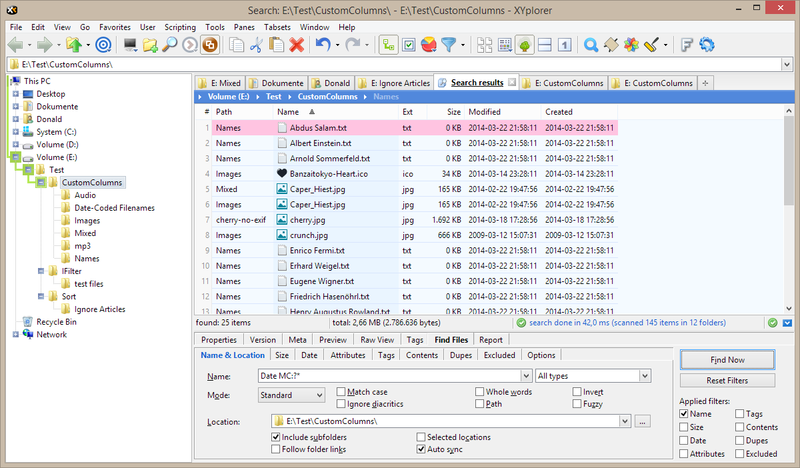 Now you can search the textual contents of complex file types like DOC, DOCX, ODT, and PDF. Technically this is done using IFilters. 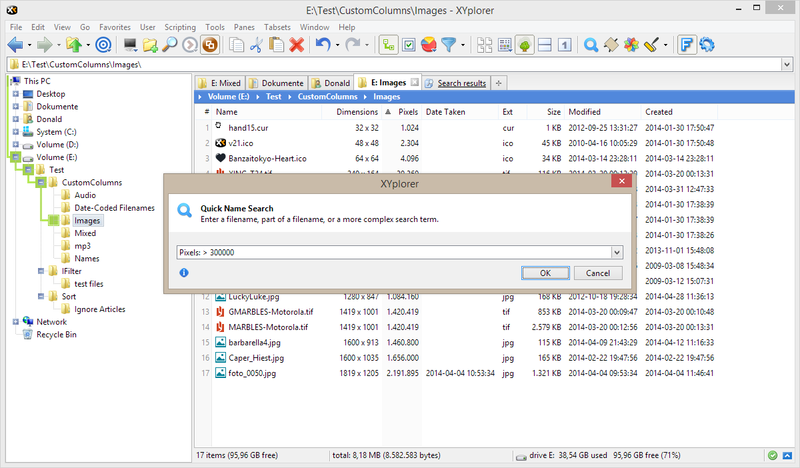 IFilters are Windows plugins that are used to extract pure text from complex files. It depends on your system which IFilters are available. In the web you can find IFilters for almost anything. 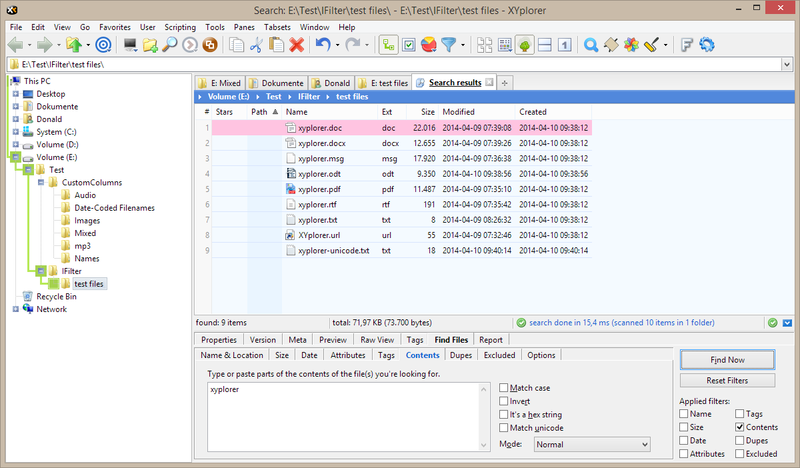 Note that XYplorer needs the 32-bit versions of IFilters installed. Recent versions of Microsoft Office apparently always install only the 64-bit filters when installed on a 64-bit Windows so that won't work with XYplorer. The free Apache OpenOffice on the other hand works very well with XYplorer and also handles DOC and DOCX files and many other Office formats. Ignore Articles When Sorting. 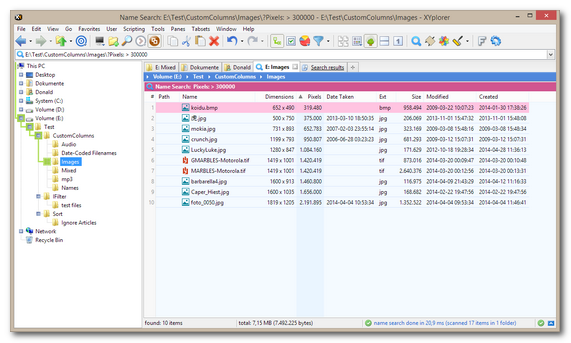 Now sorting will optionally ignore "a", "an", and "the" (configurable) at the beginning of filenames. 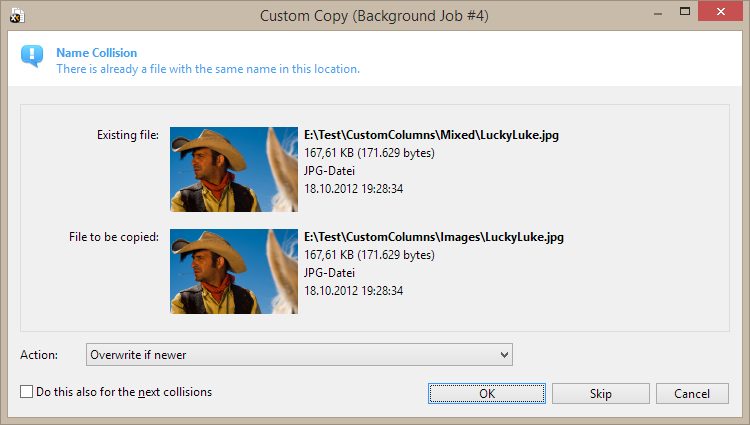 A case in point are files named after song or movie titles. 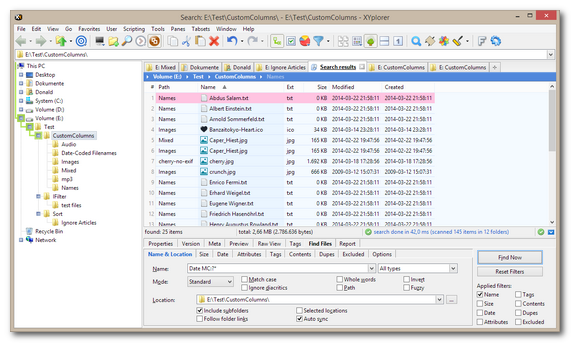 In version 14.10 the feature has been redesigned to work per list (per tab, per folder) instead of globally. "Ignore Articles When Sorting" turned off. Turn on "Ignore Articles When Sorting". "Ignore Articles When Sorting" turned on. 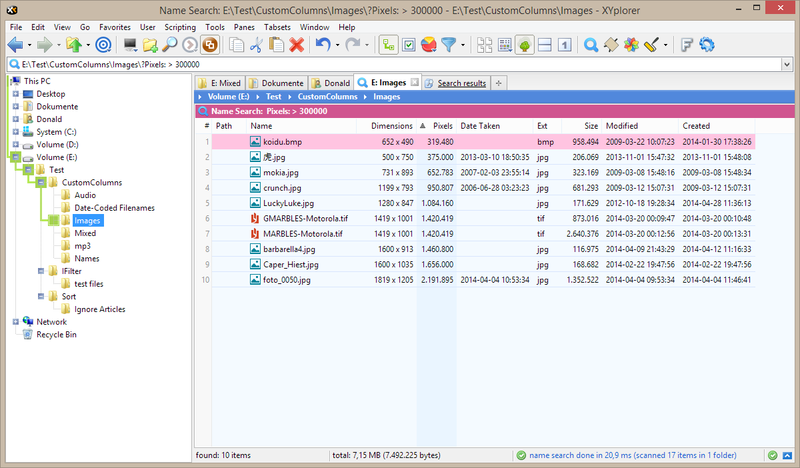 Image Preview in Overwrite Prompt. 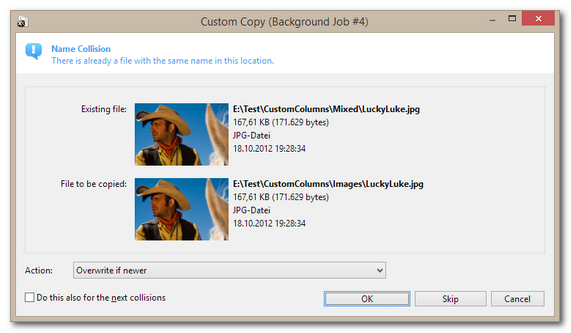 The overwrite prompt now features thumbnails for the copied and the existing image. 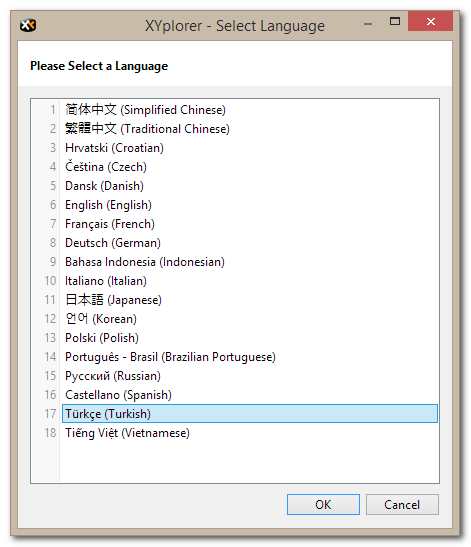 Multilingual Support. Added support for Turkish. 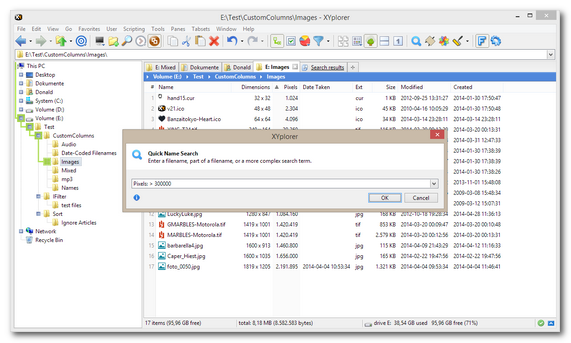 How to load the Turkish language into XYplorer: Click menu Help | Select Language, then select Turkish from the list of available languages. Done. No restart required. License Policy. Before, the Standard License was valid for one major version cycle of upgrades. Many users were unhappy with this. Some even irrationally thought it would be better if XYplorer was developed slower so they would get free upgrades for a longer period. Time for change. From now on, the Standard License is valid for one year of upgrades which, given the current pace of development, means roughly a doubling of upgrades for the same price. The new policy is applied retroactively to all Standard Licenses from 12.40 onwards, i.e. a Standard License for 12.40 will be valid for 14.00!